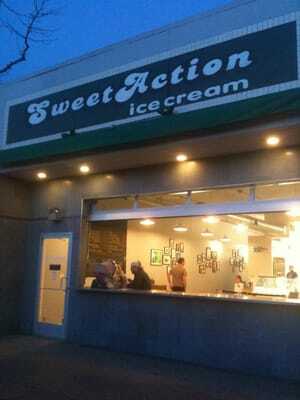 Sweet Action Ice Cream, located at 52 Broadway, Denver, Colorado 80203. Sweet Action Ice Cream is made by hand with fresh, natural Colorado dairy and the finest ingredients. It is quoted to be the Best Ice Cream Shop in Colorado by USA Today, One of the best ice cream spots in the U.S.by Food & Wine, Denver’s best ice cream by 5280 Magazine, and Best Ice Cream for the Milk-Averse by Westword.